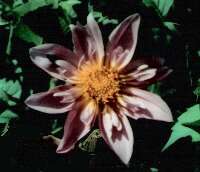 The upper case colour is the colour of the ray florets, the lower case is the colour of the collar. 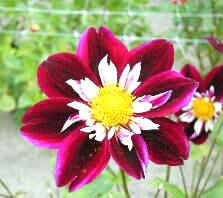 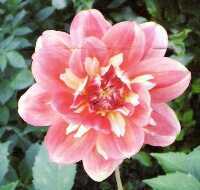 There are two types of petal in collerette dahlias. 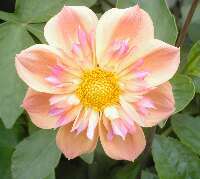 One type is flat with round ends as found in varieties like Amgard Louise and Amgard Embers, while others have more pointed petals, such as Elizabeth Snowden and Fashion Monger. 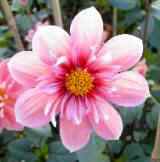 A few British raisers have concentrated on this type of dahlias and have developed some interesting combinations. 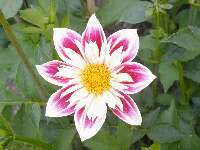 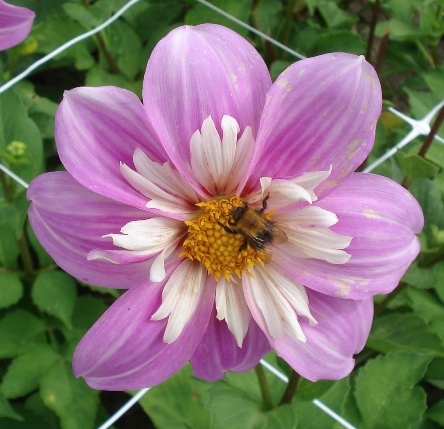 The more pointed petals have continued to be involute and there are two varieties (not yet released) that can be described as Star Collerettes as their petals have the characteristics of star or orchid flowered dahlias. 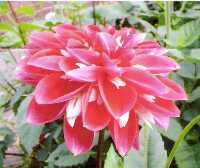 One of these is my own which is around 7 inches in diameter and self coloured, and the other was raised by Les Jackson of Carlisle. 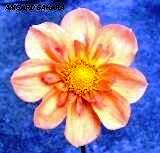 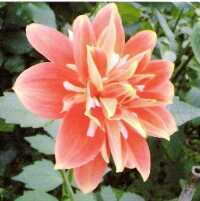 This has different colours on the front and back of the petals giving a very distinctive look to the bloom. 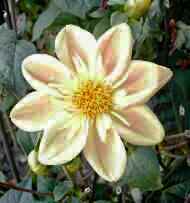 I have developed a collerette with fimbriated petals, and don't know of any others in the world at present. 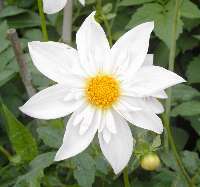 A further development is the arrival of a collerette which is scented. 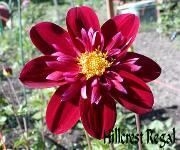 It was raised by Les Jackson and is called Hillcrest Fragrant. 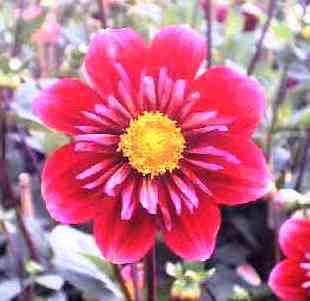 During his hybridising of collerettes, Ivor Kitchener has produced some double layered collerettes, a throwback to the first five decades of the 1900's. 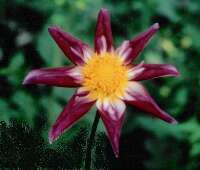 Ivor Kitchener has done a significant amount of work on hybridising collerettes and produced a study for the RHS which is published on this site. 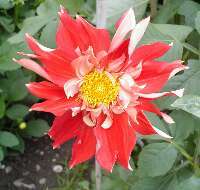 Ivor's collerettes tend to be larger than most and are frequently around 6 inches in diameter.